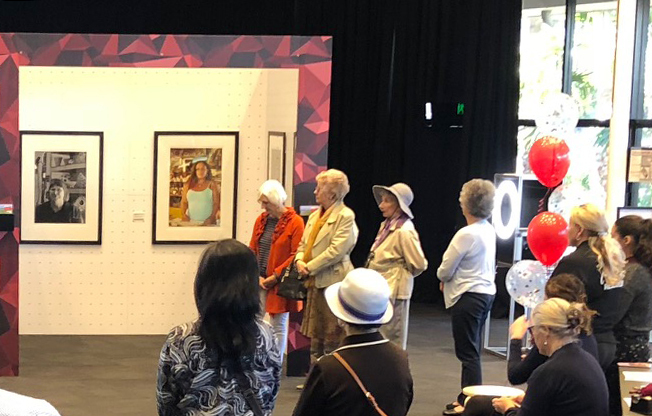 On display throughout 2019 the RAG Red Box Pop-Up Gallery will move to various Redlands Coast mainland and island locations rotating art and showcasing different local artists on a regular basis. The RAG Red Box Pop-Up Gallery is a RAG 15th Birthday initiative showcasing local artists and sharing our love of the visual arts with the community. Second stop for the RAG Red Box Pop-Up Gallery in 2019! Image: RAG Red Box Pop-Up Gallery Launch featuring works from the Redland Art Gallery Collection.